While I’m not planning on running a full Australian track series like I just wrapped up with New Zealand, I do have a few that I am going to post before moving on. 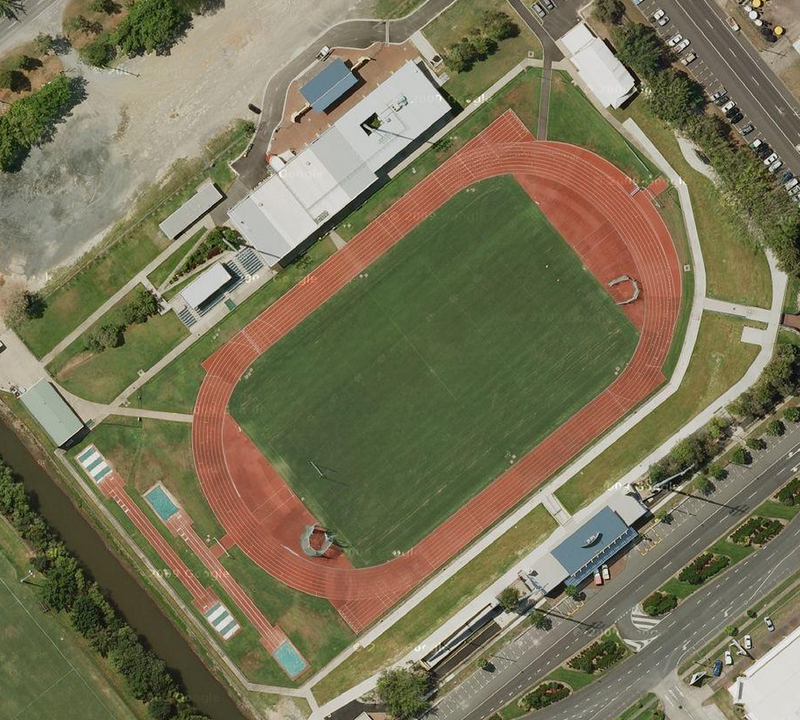 Today’s track is located in Queensland, and is found at Barlow Park. This is another great all-weather track, with a very nice set-up for the field events. The bleachers here hold 1,700 people, but there is also seating allowed on the hill around the track. With this included, the stadium is listed as being able to accommodate 20,000 spectators. 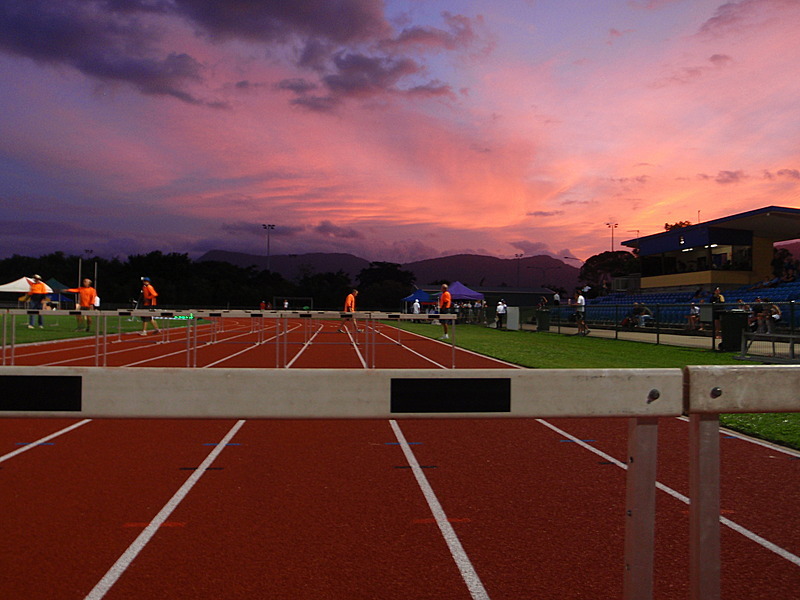 This is also the home of the Cairns Athletics Club.